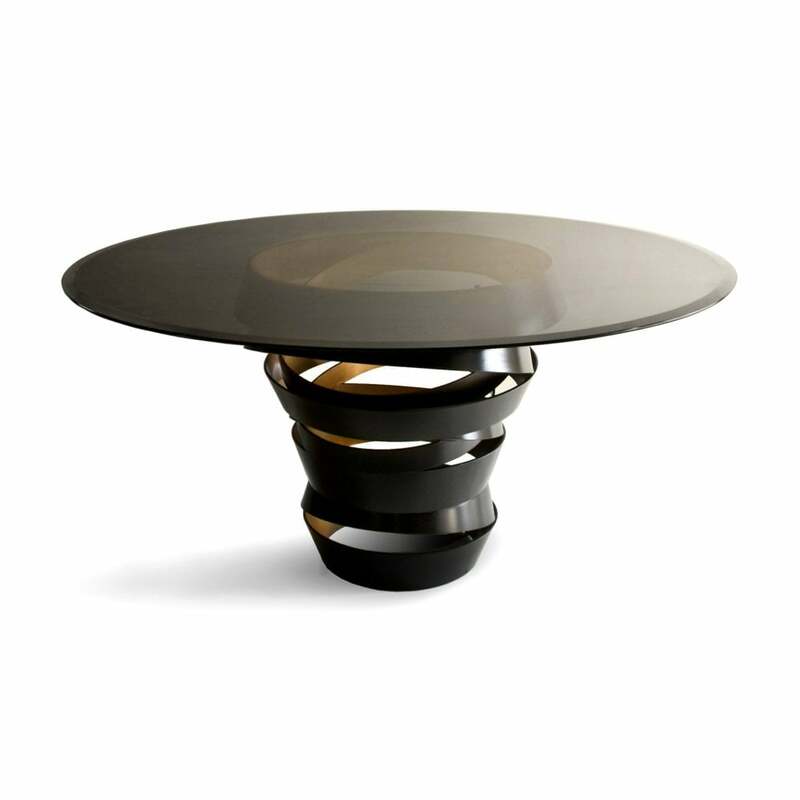 The two tone metal ribbon of the Intuition dining table evokes the mysterious and divine feminine instinct. Carefree & unexpected swirls are guided by emotions and desires. Matt black metal swirl with metallic interior and glass top. Without this, there is nothing. Top: Smoked, bronze, or clear glass. Base: Exterior/Interior: Matt black; or any RAL Classic colour; Gold, pewter or copper.